The pastoral system is at the heart of our reputation as a caring school and we work hard to maintain it. Each student is placed in a mixed-ability tutor group, which will usually remain the same for the five years he or she is at Fairfield. Each team of tutors is led by a Head of Key Stage and a Learning Manager who will be responsible for the academic progress and pastoral welfare of the students in his or her care. The Head of Key Stage and Learning Manager work closely with tutors to gain an overview of student progress in the different areas of the curriculum, to ensure that students are happy at school and to encourage the close partnership between home and school that is so important to student success. The Special Needs Co-ordinator works closely with parents/carers and the primary schools to support students who come to us with a statement of special educational needs / EHCP or who may need additional help to access the curriculum. Students are assessed on entry to the school and supported according to their individual needs in a variety of ways, sometimes in class, sometimes in small groups and sometimes on their own. Progress is monitored carefully and there is regular contact between home and school. The Nigel Davies Wing provides a first class facility for supporting additional needs as well as allowing our students to explore their interests beyond the curriculum. Celebrating diversity alongside exploring our rural heritage is an important part of learning and as a school we have always taken a holistic approach in ensuring that young people are provided opportunities for growth and development. The Nigel Davies wing aims to offer a range of ‘student services’ and careers advice. We also provide bespoke, targeted intervention to support the needs of our students and challenge gifted learners. The Learning Managers have access to a wide range of services to support children and families and works alongside school staff and external agencies to offer a range of activities and programmes in school, after school and in the holidays. We offer a structured programme of careers advice for all students from Years 7–11 together with the support of an impartial Careers Adviser. The library is open to students at break and lunchtimes and offers opportunities for reading, (including audio books) and quiet study, with some students involved in helping to run the library as student librarians. Years 7, 8, and 9 also use the library regularly in English lessons. Study hour runs for an hour after school Monday to Friday. It is a voluntary club for any student who would like to complete homework in school. A member of staff is available to offer help and advice if needed. Student involvement in school life takes a variety of forms. For example, all students have the opportunity to be involved in the School Council, in staff appointments and developing the work of the school. Students are involved in competitions in many subject areas and represent the school on external bodies. Some students work as Ambassadors, assisting Year 6 pupils before they come to Fairfield and during their first term, to help with transition. Older students also train to be Mentors to offer support to younger students. Students are given opportunities to be involved with charity work and the local community and some students are chosen to have responsibility as prefects, sports captains, house captains and Head Boy or Girl in Year 11. The school restaurant is available to all students and encourages healthy eating with a wide range of freshly prepared, nutritious meals which are very reasonably priced. There are hot and cold meals, sandwiches and snacks and a vegetarian option available every day. Breakfast Club is open from 8.15am and there are also snacks on sale at break time. Free school meals are available to students whose parents are in receipt of Income Support or Jobseekers Allowance. Please contact us for further details. Payment is made via a cashless system, ParentPay, which is also used by the school to enable cashless payments for other things, such as for visits. Transport to school is arranged by Herefordshire LA for students who live over 3 miles from school, within the catchment area designated by the LA when Fairfield is the nearest school. Students will be issued with a bus pass detailing their travel arrangements during the first week of the Autumn term. Passes may be required at any time and should always be carried. Students admitted from outside the catchment area must be prepared to make their own travel arrangements and meet the cost; the school cannot accept responsibility for travel to and from school. Students may cycle to school; please ensure that a cycling helmet is worn. Attendance is monitored by our Learning Managers, who will contact home if students are absent from school without explanation. The Learning Managers work closely with the local authority to ensure that students are in school, ready to learn. Parents/carers are reminded that schools have been advised by the DfE that absences for reasons other than sickness (including holidays) during term time should notbe authorised unless there are exceptional circumstances. All absences should be requested in advance on the appropriate form; we will not usually authorise any absence during Years 10 and 11. Sickness absences may be reported on the absence line – 01981 551006. Please use this number rather than the main switchboard. If students are unwell during the school day they are assessed by trained first aid staff and parents/carers are then contacted if necessary. Please ensure that we always have up to date contact details so that we can speak to you quickly in an emergency. Students are not allowed to phone home independently from mobile phones, as this can create upset and confusion. If a child needs to phone home, they can do so from the school office. Behaviour is reinforced positively in school. Our expectation is that everyone in our school community will behave with courtesy and co-operation at all times. In order for school to be a safe and positive learning environment for everyone we have rules which we expect everyone to follow. If this doesn’t happen, there are a number of sanctions which we may apply, including loss of free time, lunchtime or after-school detention. Parents and carers are always informed if serious incidents occur. If students have to remain after school at any time, parents’/carers’ permission will usually be sought in advance. In the most serious cases, we may have to exclude students; fortunately at Fairfield we rarely need to do this. 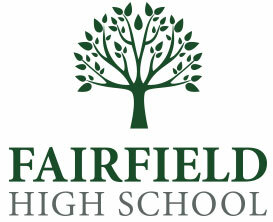 Fairfield has a number of detailed policies which cover our statutory duties as a school and also offer further clarification of areas of our work; these are available to download.